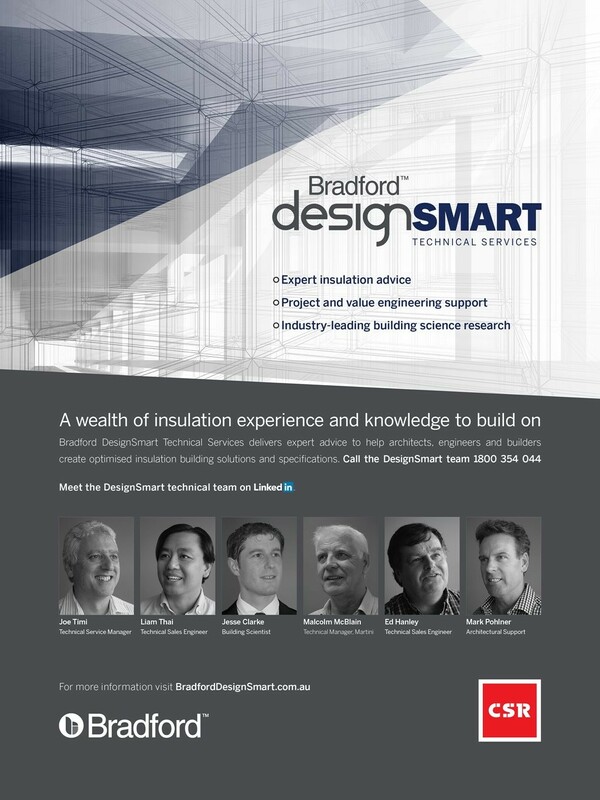 Bradford has launched the DesignSmart technical services program for insulation which focuses on delivering technical support solutions to architects, engineers and builders. Bradford DesignSmart is backed by CSR, which is the name behind some of the market’s most trusted and recognised building material brands such as Bradford™, Martini™, Gyprock™, PGH™ and Viridian™ to name a few. With a passion to provide a solution-based technical service that’s second to none, the Bradford DesignSmart team are available to support, add value and provide expert insulation advice. Get in contact with the DesignSmart team for your project by calling 1800 354 044 or by visiting BradfordDesignSmart.